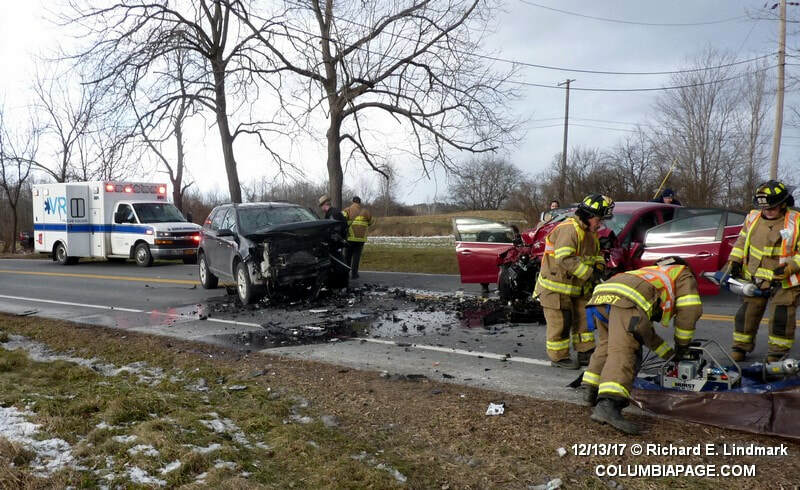 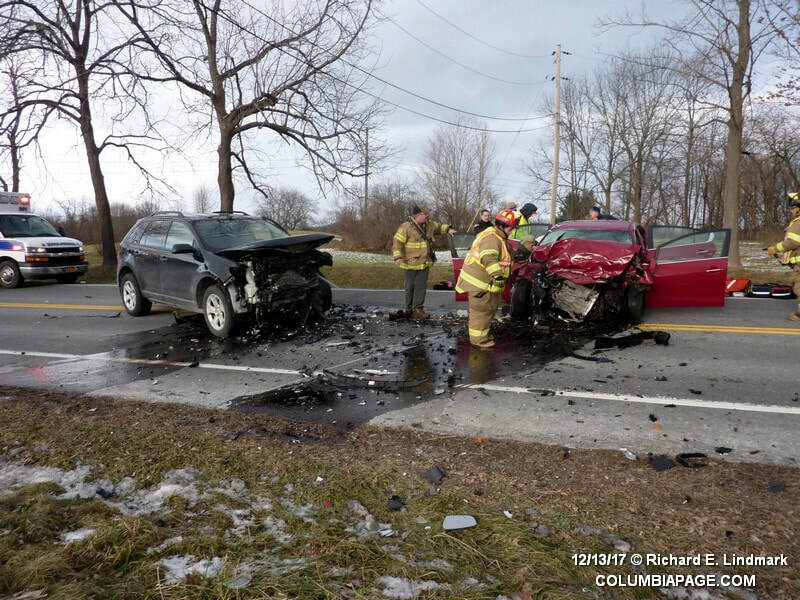 Columbia County 911 dispatched Chatham Firefighters and Valatie Rescue at 2:24pm for a reported two car accident with entrapment. 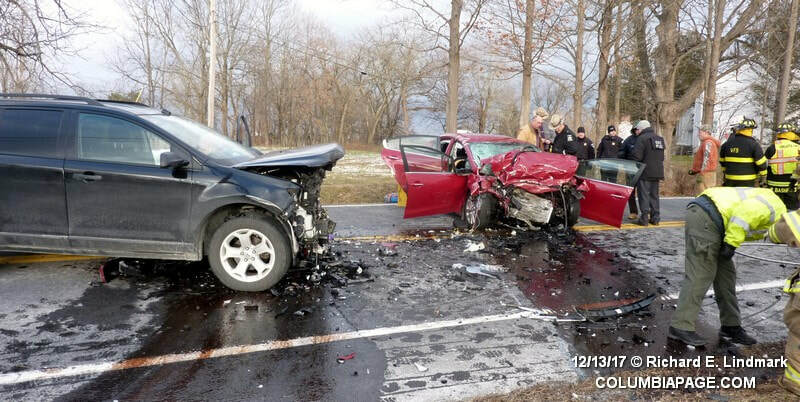 The accident was on Route 203 just west of Merwin Road in the Town of Kinderhook. 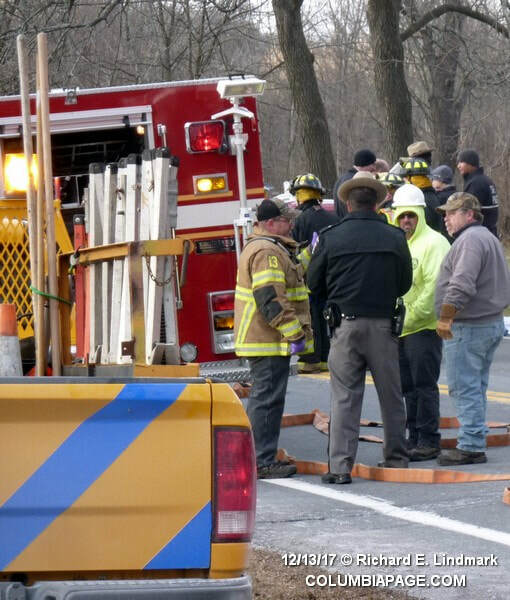 Mutual aid agencies requested to the scene included the Ghent and Valatie Fire Departments and Chatham Rescue. The Columbia County Fire Coordinators Office, Columbia County EMS Coordinators Office and Cornoer Angelo Nero were on the scene. 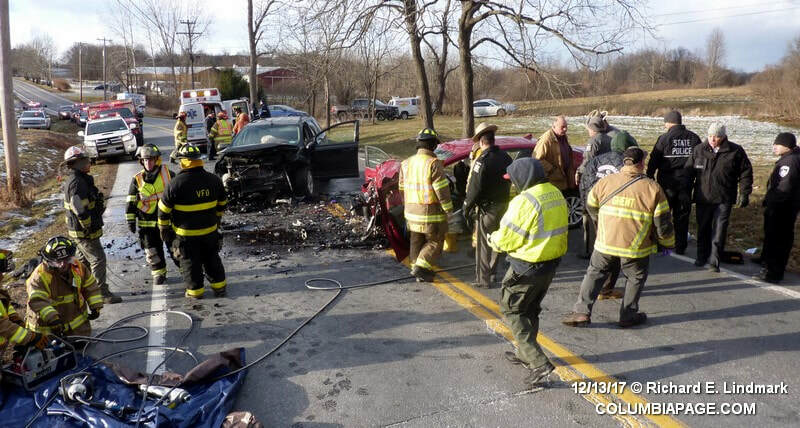 The New York State Police investigated and were assisted by the Columbia County Sheriff's Department. 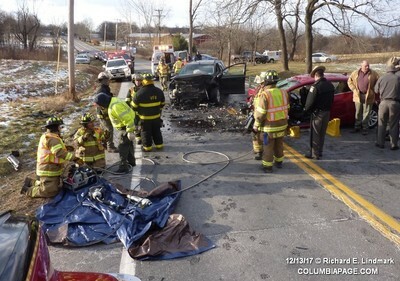 Four subjects were seriously injured and were transported by Valatie Rescue and Chatham Rescue to Albany Medical Center. 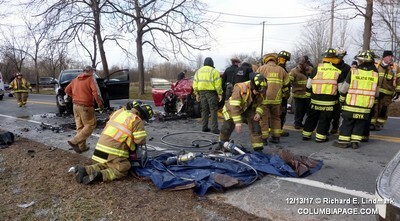 One subject was fatally injured. 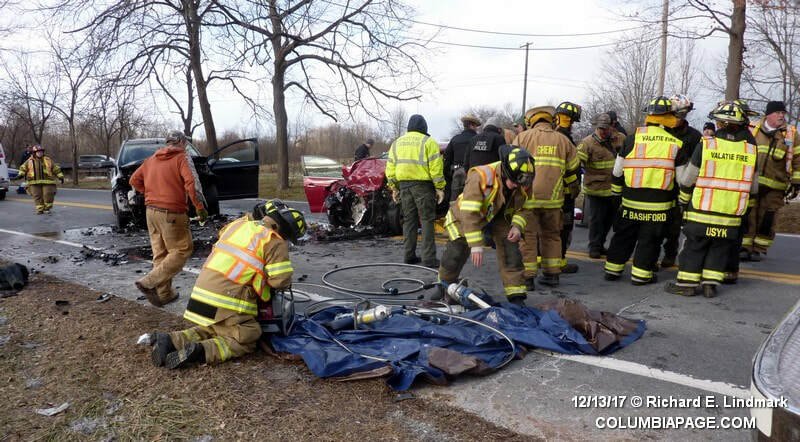 Kinderhook, New York – On December 13, 2017 the New York State Police from the Kinderhook barracks and Livingston Bureau of Criminal Investigation responded to a fatal motor vehicle collision on State Route 203 just west of Merwin Rd in the town of Kinderhook. 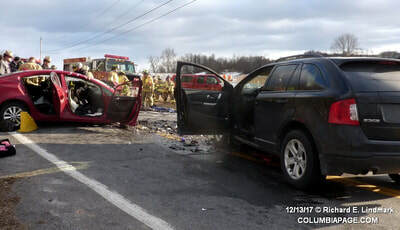 At approximately 2:25 p.m. Laura Dalaudiere, age 27, of Valatie, with three backseat passengers, was northbound on State Route 203. Preliminary investigation shows a southbound vehicle operated by David L. Scott, age 56, of Ghent, struck Dalaudiere’s vehicle. Dalaudiere along with two female passengers, ages 5 and 11, were transported to Albany medical center, and are listed as critical but stable. 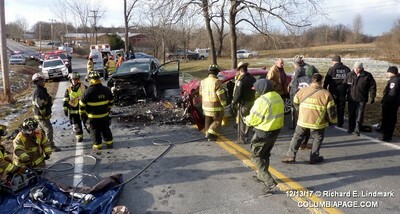 Scott was also taken to Albany Medical Center. Ryan Dalaudiere, age 4, was pronounced deceased on scene. 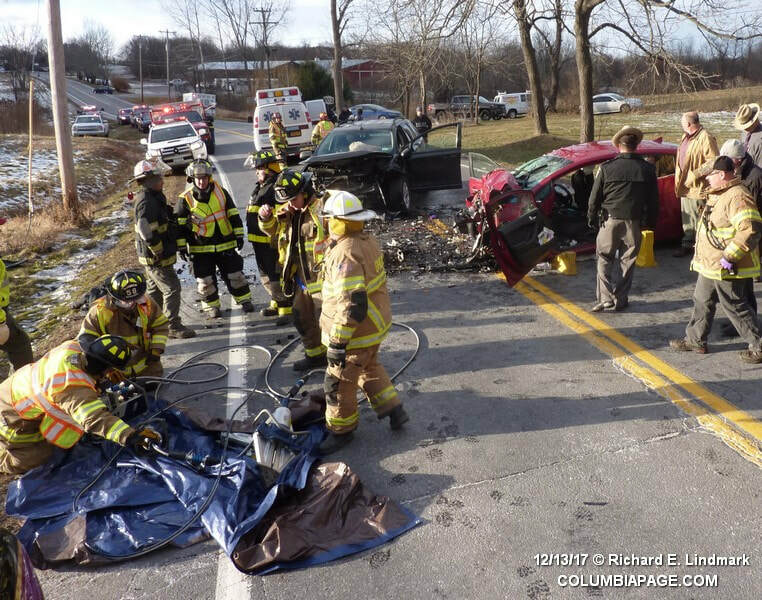 The State Police were assisted on scene by the Columbia County Sheriff’s Office, Chatham Fire Department, Chatham Rescue, Valatie Rescue Squad, Valatie Fire Department, Ghent Fire Department, Columbia County Coroner’s Office, Columbia County EMS Coordinator, Columbia County Fire Coordinator, and Troop K Collision Reconstruction Unit. 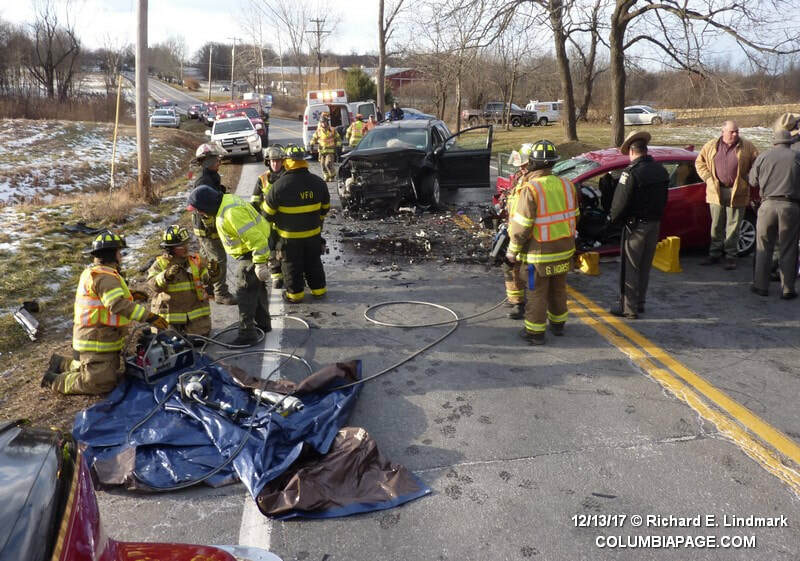 Anyone with information regarding this investigation is asked to please call Troop K Headquarters at (845) 677-7300 or SP Livingston at (518) 851-2001.